*Round 2 resumed at 9:44 am EST after a 2 hour and 14 minute fog delay. *Upon completion of Round 2, the field will be cut to the top 70 and ties. All players will then be repaired by score for Round 3. *Round 3 starting times will begin at approximately 1:00 am EST off of both the #1 and #10 tee. The PGA Golf Management University Program is a four to five year structured educational program designed for aspiring PGA Professionals. The college curriculum is accredited by the PGA of America and includes extensive classroom studies, internship experience and player development providing students the opportunity to acquire the knowledge and skills necessary for success in the golf industry. 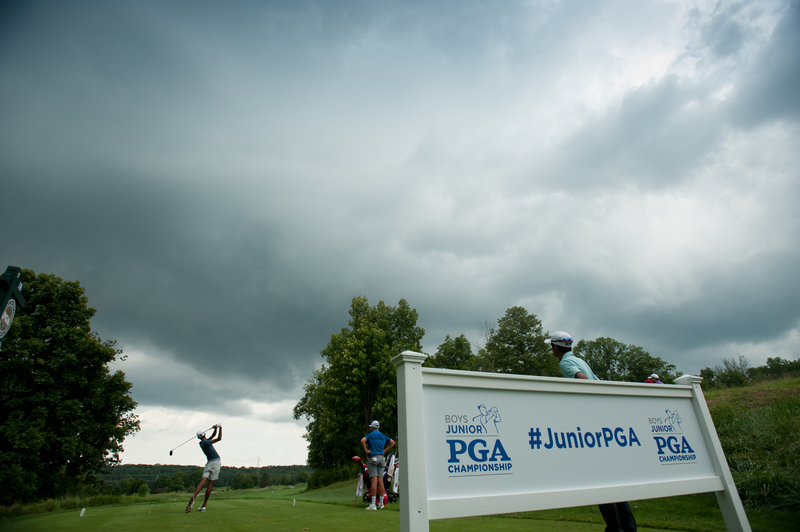 PGA Junior League Golf is a fun, social and inclusive opportunity for boys and girls, ages 13 and under, to learn and enjoy the game of golf from PGA and LPGA Professionals. Like many other recreational youth sports, participants wear numbered jerseys and play on teams with friends.